For all those Brides who chose to wed during the summer, you may be wondering the best ways to look fabulous and beat the heat. 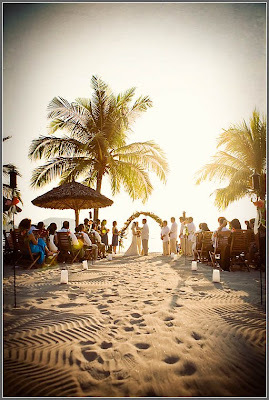 Here are some helpful tips I share with all my Summer Brides. 1. Spray Deodorant – you may find this to be a “matter of fact” item. However, I recommend each brides to spray it all over their body. It does not clump or flake off. The benefit is that it does help reduce sweating underneath the dress. It would be recommended to find one that is non-scented. 2. Water, and plenty of it – on the wedding day, your extra nervous and very pre-occupied. Drinking and eating may not come to mind. However, it would be best to stay well hydrated to prevent fainting or dehydration. It also helps to keep your skin beautiful with a healthy wedding day glow. A lack of water will also cause swelling and may cause your shoes to become quite uncomfortable. 3. 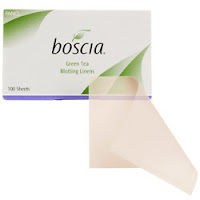 Boscia Blotting Linens – these wonderful little sheets are life savors for maintaining a picture perfect complexion. Makeup should look like and non-cakey. Just by patting the extra oil places is best for maintaining this look. The best thing is, they are small enough to fit inside most dainty bridal handbags. For convenience, you can order them online at Sephora. 4. Two tuxedo shirts – this one technically isn’t for the bride. However, it surely can ensure a happy Groom. If you plan on spending any time outside capturing fantastic pictures, the heat is surely going to cause the Groom some discomfort also. In case your Groom is highly responsive to the heat, having a clean, dry shirt to change into before making the grand entrance will be a welcome suggestion. 5. Parasols – while, you may think these are normally reserved for a time forgotten or southern soirees. 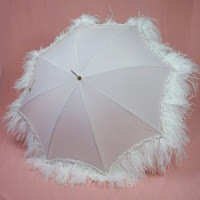 Cute parasols can be a unique decorative item for any chic wedding party. Having a little shade available will be a much needed relief while under direct sunlight if pictures are being taken outside. Plus, they are just so feminine in a diva way. With companies such as Bella Umbrella providing parasols with style, who could resist? !